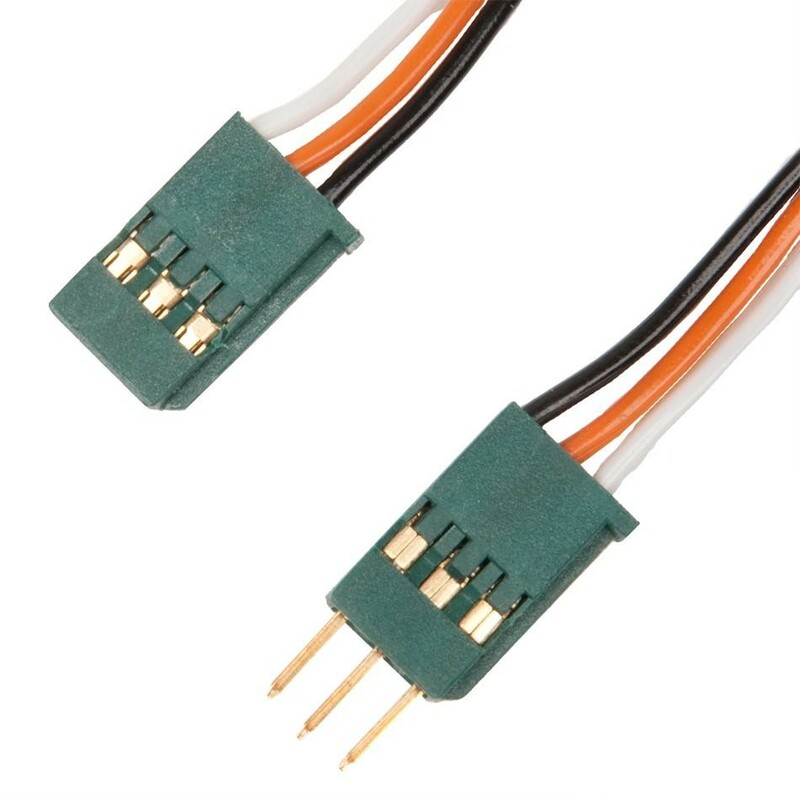 "Y"-cables allow 2 motors/servos to be driven by a single microcontroller output. 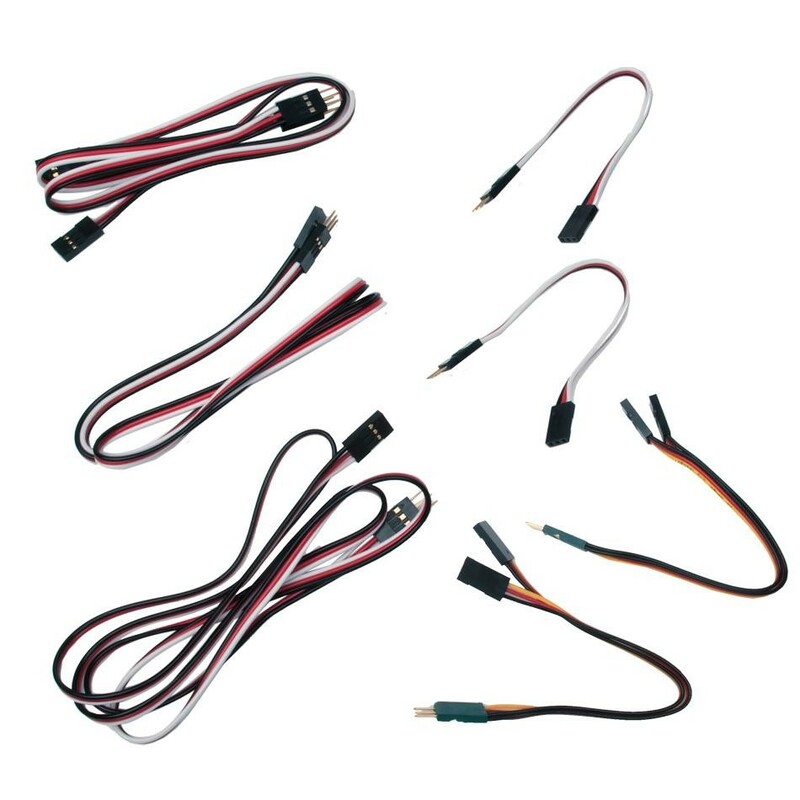 Extension cables compatible with: Motors and Servos, All 3-wire sensors. 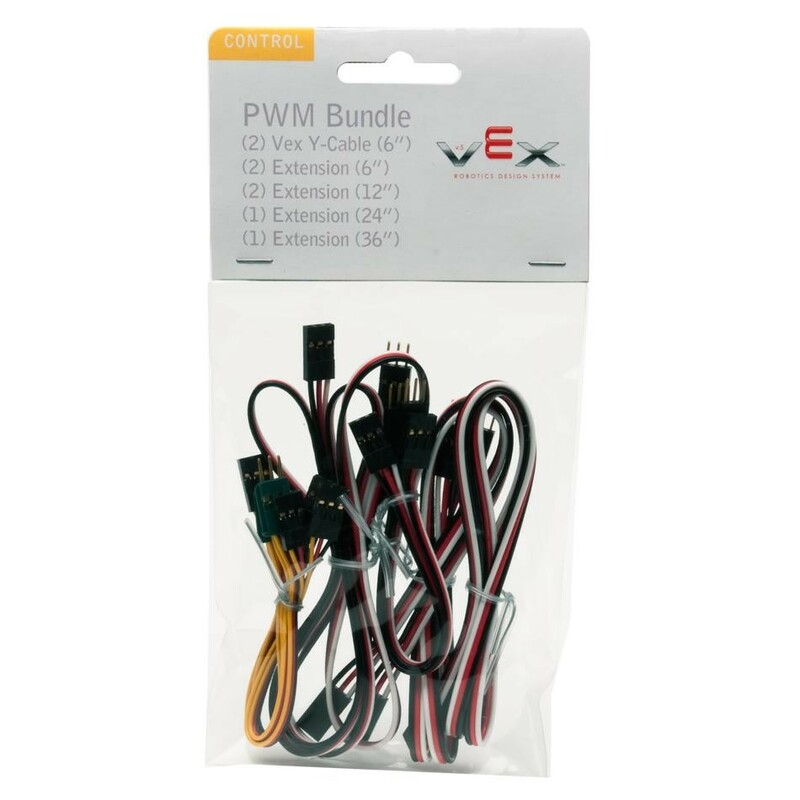 3-Wire Extension Cables are Not compatible with VEXplorer. 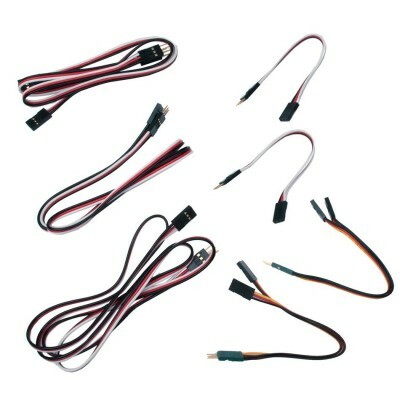 3-wire Y-Cable 6"0.008 lbs (3.63 grams). 3-wire Cable 6"0.005 lbs (2.27 grams). 3-wire Cable 12"0.009lbs (4.08 grams). 3-wire Cable 24"0.016lbs (7.26 grams). 3-wire Cable 36"0.024lbs (10.9 grams).